Glassdoor for Employers is a recruitment platform that enables companies to find the most suitable talent for their job postings. Its features include job posts and ads, recruitment tools, employer branding, and review management. Ready to get started with Glassdoor for Employers? Sign up for free. As of the date this article was written (01/08/19), there are no recent user reviews of Glassdoor for Employers online. If you are a past or current Glassdoor for Employers customer, leave a review to help other small business owners who are deciding whether or not to use the company. Glassdoor for Employers offers a free option (up to 10 job posts) and a paid plan. Pricing for the paid plan is not available online. Services from providers similar to Glassdoor for Employers usually cost around $40 to $70 for programs with basic and straightforward features, while more extensive ones cost around $100 to $300+ per month. 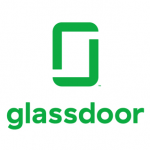 Ready to get started with Glassdoor for Employers? Sign up for free. 7 Best Recruitment Software Options for 2018 — Recruitment software is used to help businesses find top talent by posting to job boards and keeping track of applicant resumes. In this guide, we shared our top recommendations for recruitment software and compared them based on affordability, ease of use, and available features. How can Glassdoor for Employers help companies attract potential talents? Glassdoor for Employers has an Employer Branding feature which helps hiring managers to position their company positively to potential applicants. 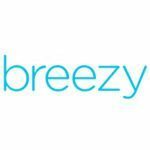 This enables users to create a company profile, add photos and videos, manage employee reviews, monitor profile traffic, understand candidate demographics, and more. Do job posts get displayed in real time? No. Jobs postings are moderated by Glassdoor for Employers’ team and take around 2 to 6 hours to appear in the job search platform. Not sure if Glassdoor for Employers is the right fit for you? Read our reviews of all top recruitment software or check out one of these three Glassdoor for Employers competitors.